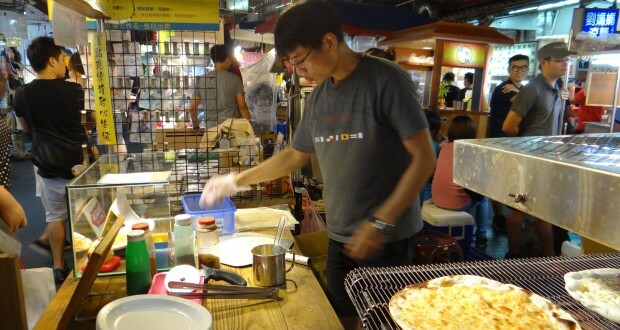 Summary : This vendor is located in my favorite night Market in Taipei. Nestled among stalls selling skewers and buns, this was a pleasant surprise to find. 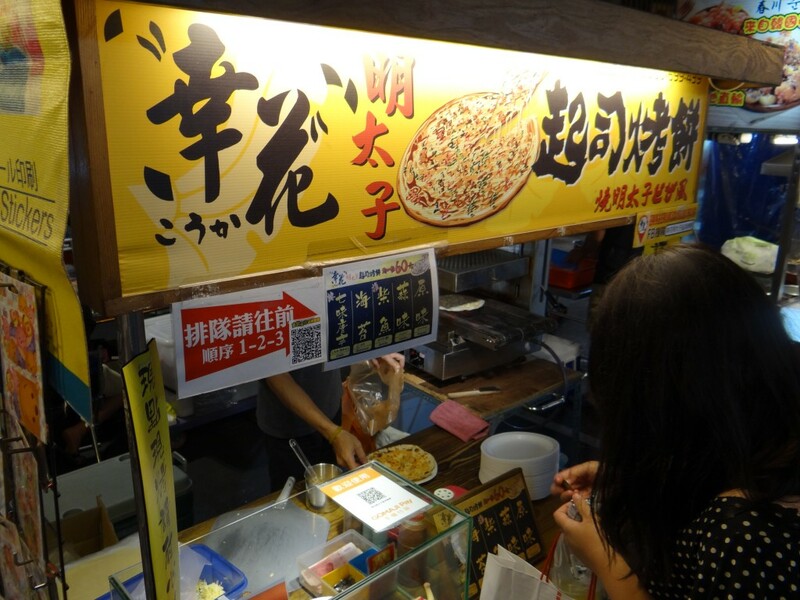 While strolling through Raohe Street Night Market on a recent trip to Taipei, I came across something completely unexpected. No — it wasn’t an obscure animal part or something similarly grotesque. It was a stand serving something that resembled pizza. 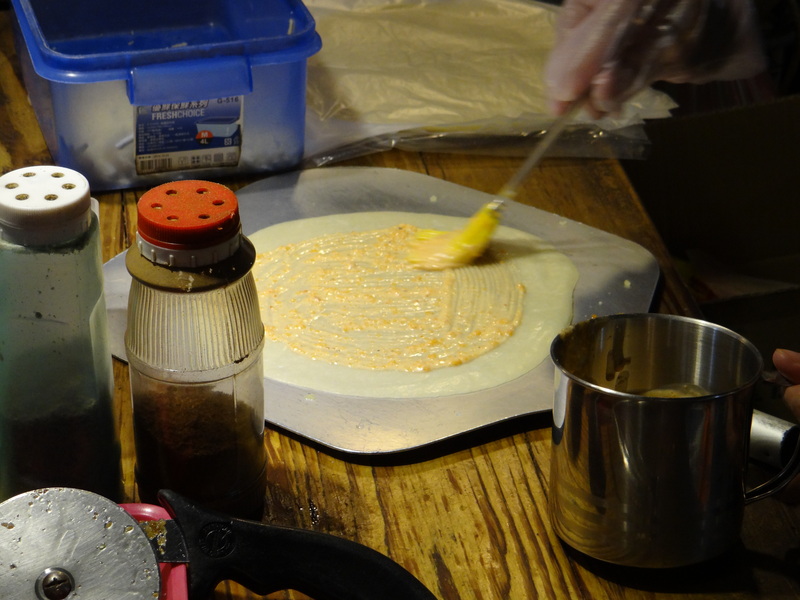 “Fortunately Flower Mentaiko Cheese Scones from Kyushu capsules happiness, fragrant and pull wire mash homemade cheese sauce with roe grainy, plus grilled very crispy crust handmade, multi-level allow people to taste that aftertaste! What initially caught my eye was the image of a pizza on the top of this cart. 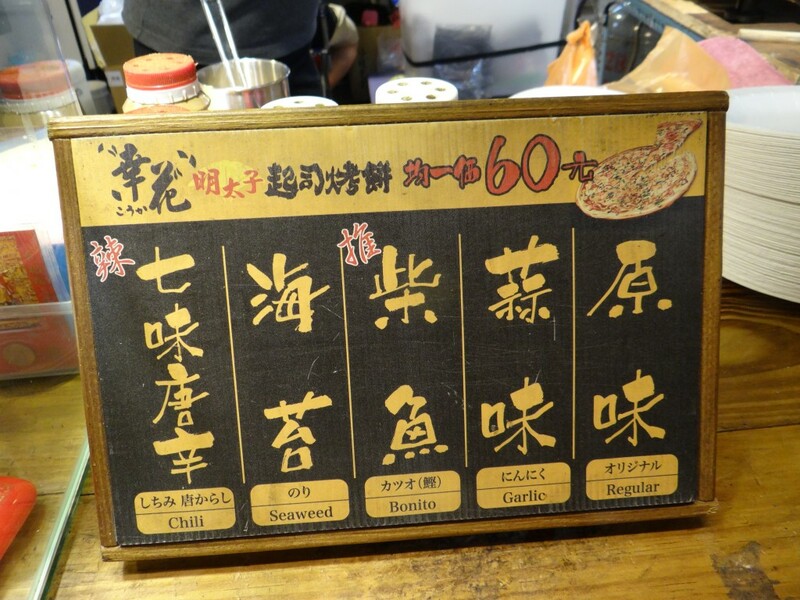 There was no English anywhere to be seen, except on one sign: Chili, Seaweed, Bonito, Garlic and Regular were options for whatever it was that was being served at this stand. 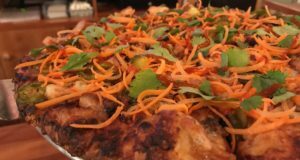 As I watched the vendor prepare the food at his stall, I gave some thought to a question which I have addressed many times on this blog: what exactly is pizza? 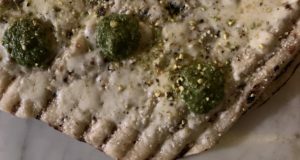 The more I watched Fortunately Flower, the more convinced I was that he was serving something that could be classified as pizza. Let’s go through this. 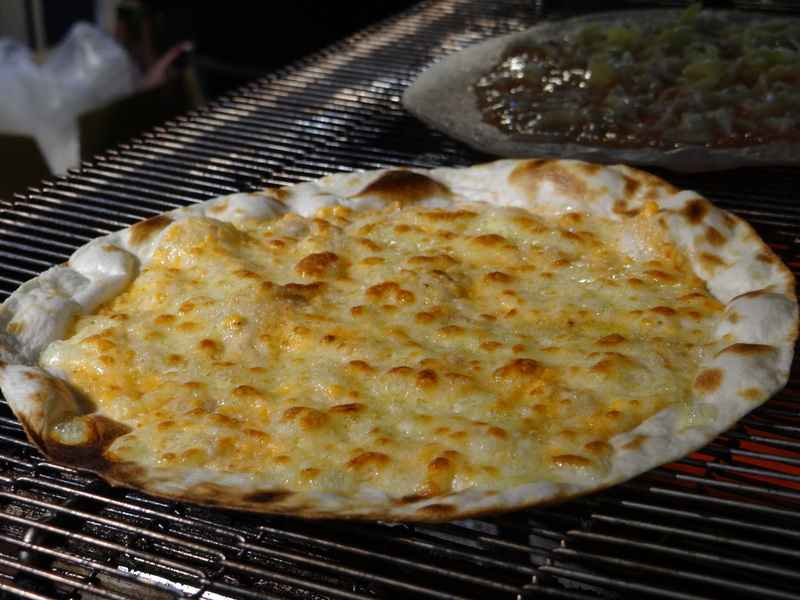 After applying the sauce, the vendor then topped the “pie” with cheese. No, it wasn’t fresh mozzarella. But some version of grated cheese. Also, notice here, that all of this is taking place on a pizza peel! 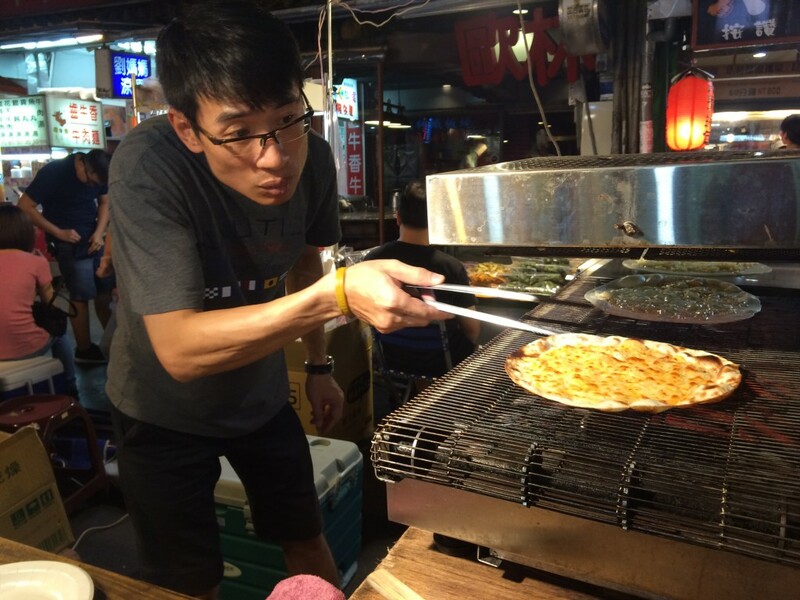 The next step in the process is placing the “pizza” onto a conveyor belt oven — just like at Pizza Hut and Domino’s (you can just ignore the fact that the vendor is using a tong here). 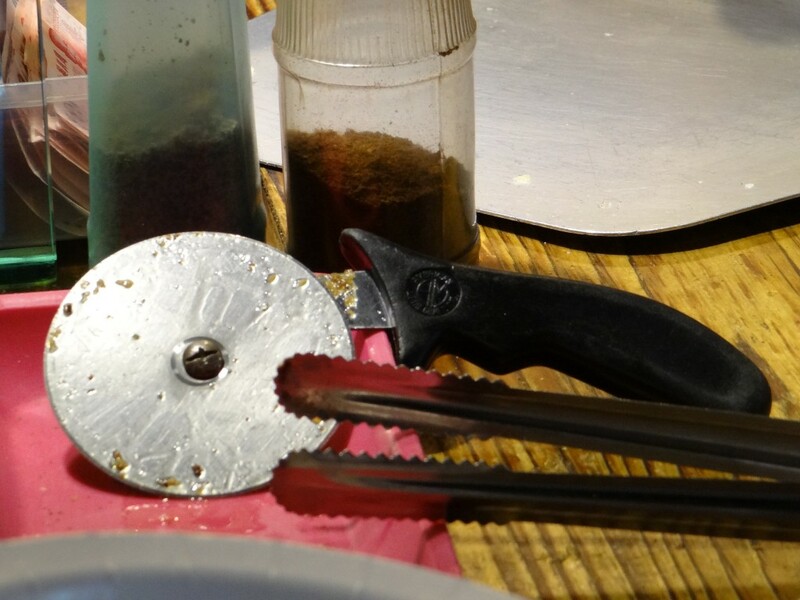 It’s almost time for… the pizza slicer! A real pizza slicer, mind you. But first let’s top the pizza with some spices. 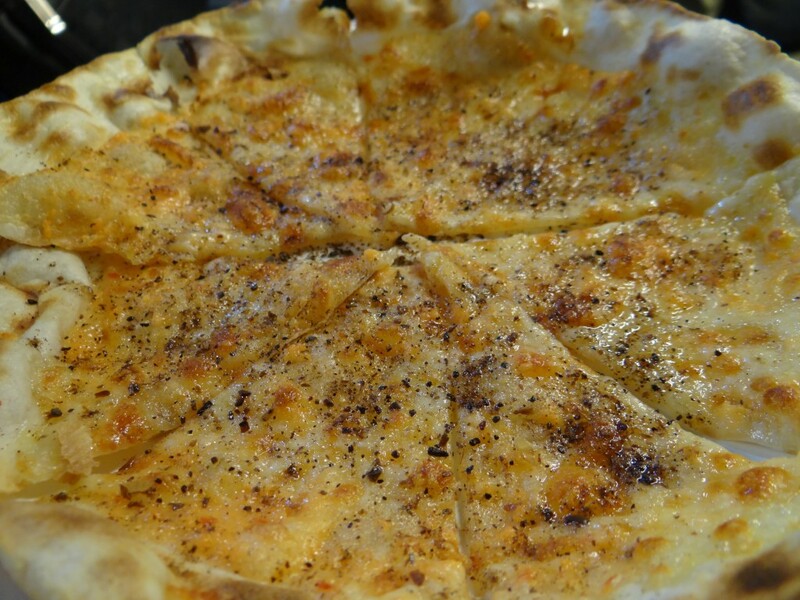 Just like the parmesan and red pepper you’d put on your slice of New York City pizza. And the final product? We’ll it’s a thing of beauty! I’m not really sure which of the six flavors I ordered. But I tried to communicate to the vendor that he should choose his favorite. And I think, he then pointed to bonito (fish flakes). Regardless, I couldn’t really taste the toppings. The crust was, as you might imagine, crunchy. But the “mayo” and cheese really tasted great, as did the spice on top. In a market filled with skewers and buns, this was a nice diversion. Maybe I was just really missing pizza at this point, but I really loved this spot. And it only cost $60 Taiwan dollars — which is about $1.90 USD. 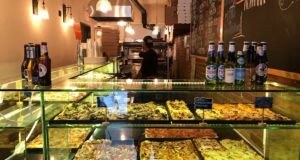 Cheaper than almost any slice in New York City. Would I prefer this to a New York City slice? Not on a nightly basis. It’s thin and wasn’t that filling. 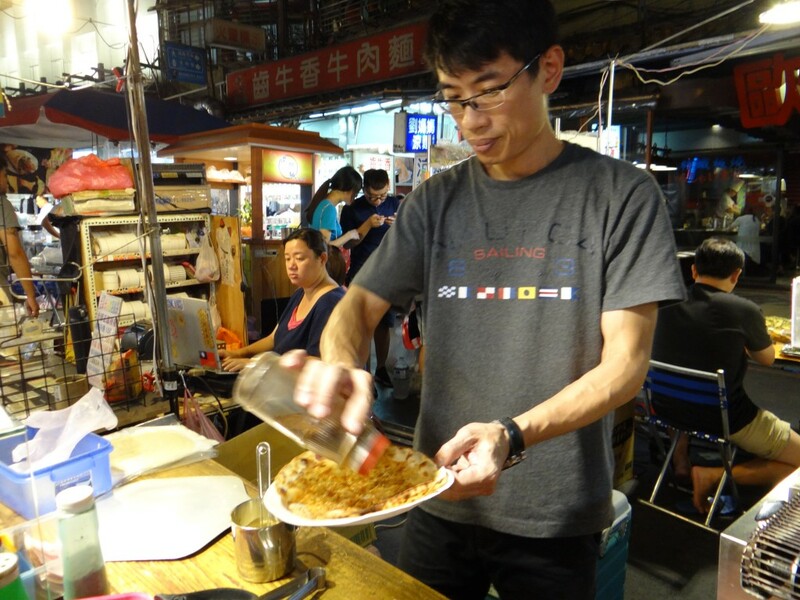 But it was fresh and tasty, and if you spot Fortunately Flower at Raohe Street Night Market in Taipei — give it a try! 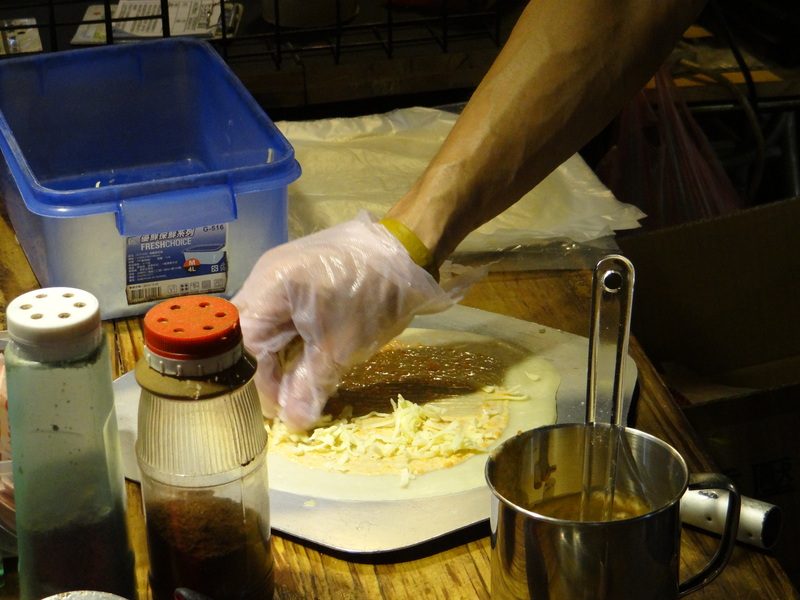 For a review of all the non-pizza places I ate at in Taipei, click here.